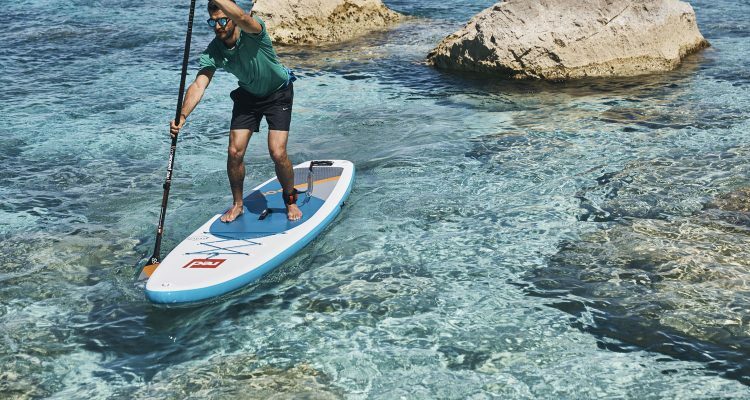 charter guests alike have come to expect a vast array of exciting watercraft and adrenaline-pumping toys to accompany and enhance their stay on board. With ever changing technologies, knowing what to purchase and how to operate and maintain these additions is certainly becoming a full time job for many crews and those tasked with stocking the yacht with the latest additions. If ever superyacht toys got good coverage recently it was at the hands of BBC television. Viewers of the UK’s best-watched TV series of 2017 will have seen the Triton submarine carried aboard Alucia where it was used for over 500 hours of documentary filming by the Blue Planet production team. 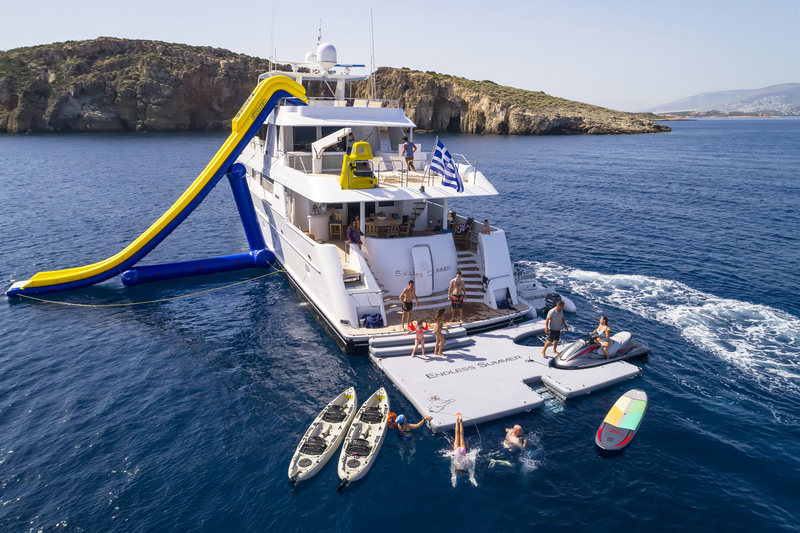 The yacht undoubtedly benefited from just that one mission, but the fact that our oceans benefited from the millions of people around the world who were educated, inspired and connected with the sea via a superyacht water toy is something the industry can be proud to be a part of. 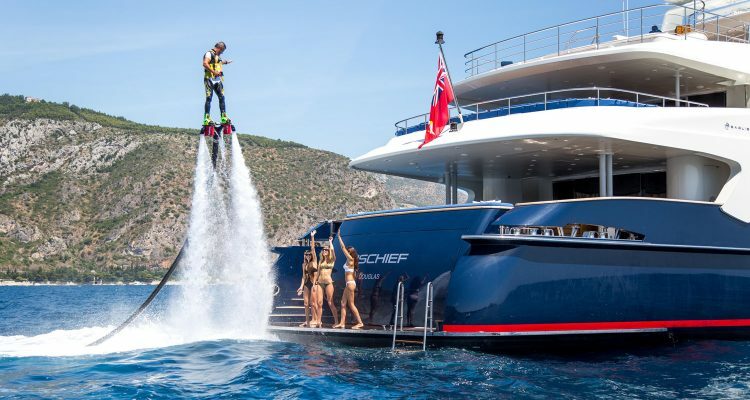 Nicola Breymaier a Charter Broker with Fraser who is based in Monaco knows from experience the importance of yacht toys when it comes to toys is important, even more so is the ability for the crew to show how to use the toys correctly and make the most fun out of each experience. 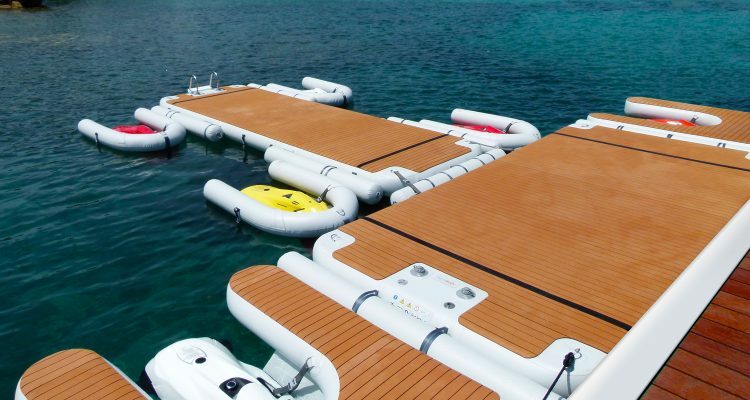 Stacy Moss with Camper & Nicholsons, Fort Lauderdale states that while the core toys such as SeaBobs, paddleboards, towable inflatables and snorkeling equipment will always be popular and will always need to be readily available the demands on storage on board is becoming a determining factor. As the demand for larger toys increases, storage is becoming more and more important. 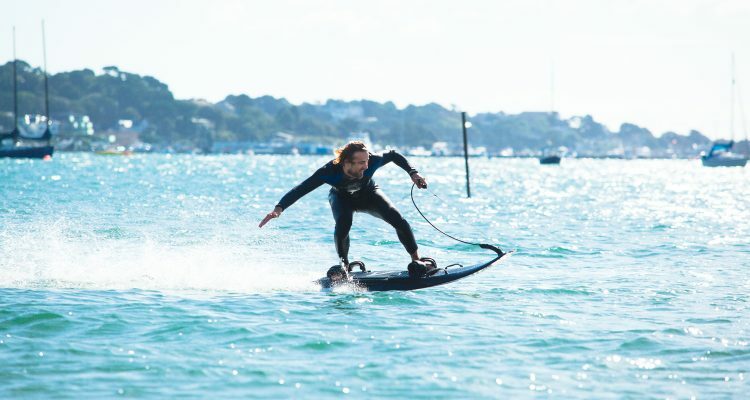 Gabriella Richardson believes that, larger toys can often be difficult to carry due to space limitations, but can be rented on a daily basis during a charter. These can include aviation equipment, helicopters, sea ray planes, multiple tenders, bicycles, fitness equipment and even Triton submarines. If you speak Danish or Dutch you will know the word for a canoe is an Onak. What you might not know is that when spelled backwards Onak is the barnd name of an innovative and foldable origami canoe. 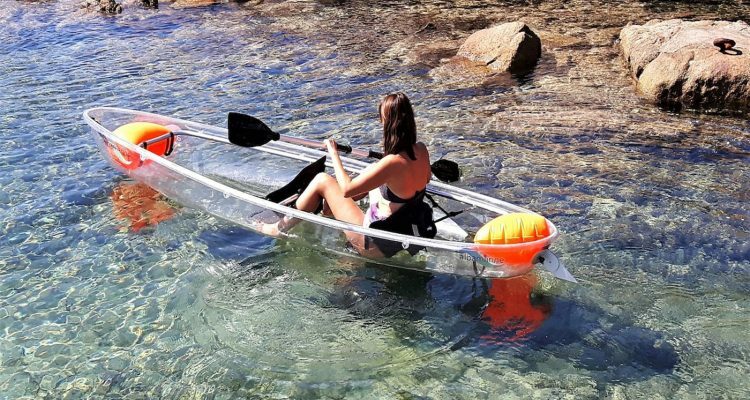 Nele Braux at Onak tells us, “Because of its innovative new composite material, the boat is extremely durable, very sturdy, fast and lightweight. 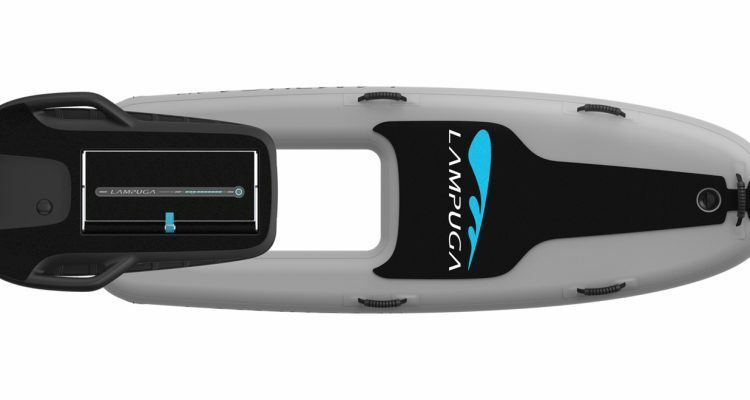 This combined with its sleek design makes it the perfect additional toy on bigger boats.” The toy is catching on fast mostly because of the ease of storing it on board. 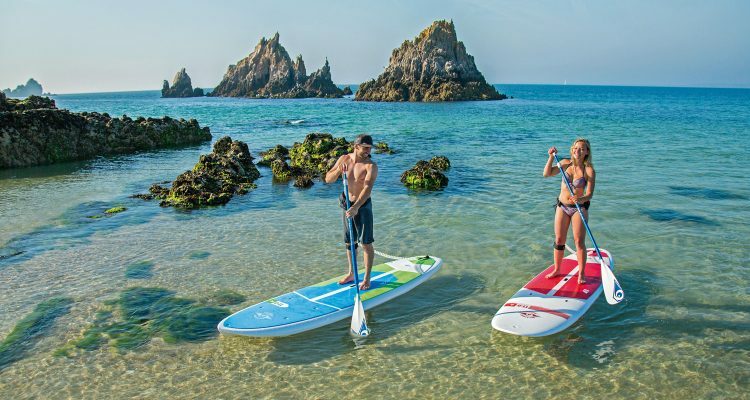 It’s easy to set-up taking just 15 minutes and once afloat it is very swift when paddling across the surface. 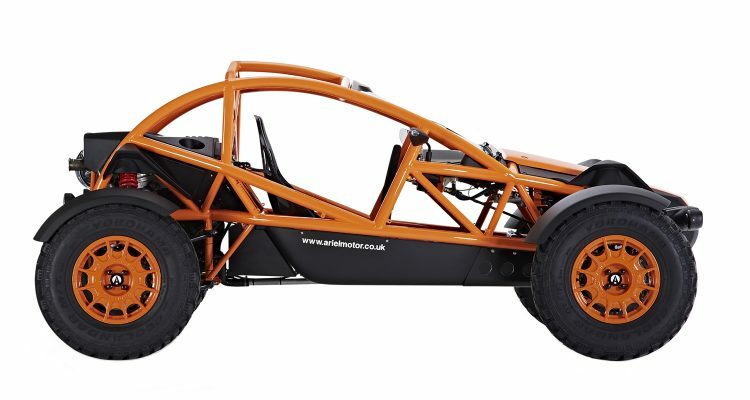 Weighing just 17 kg, it can carry 250kg meaning that about 3 people or 2 people with luggage can be safely transported. Stacy promotes Illusion V as her favourite telling us, “Snuba equipment which allows you to explore the underwater world at greater depths than snorkeling. Breathing through a simple regulator while your air supply floats on the surface allows you to stay submerged for longer and explore with greater detail. 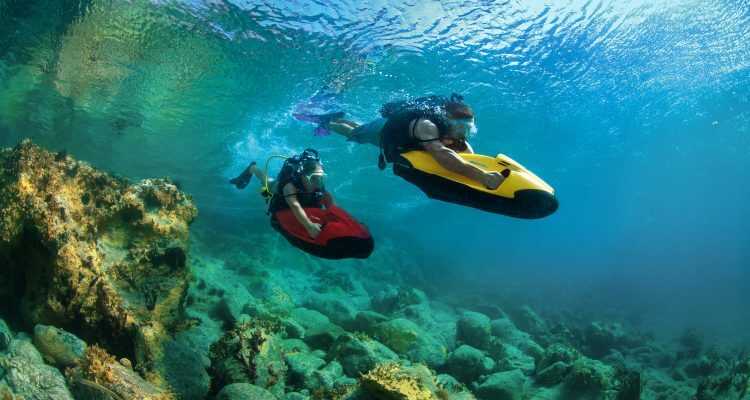 Somewhere in between Scuba diving and snorkeling, Snuba requires no license or qualification to use. More underwater fun can be had using a device invented by José Escaño Roepstorff. 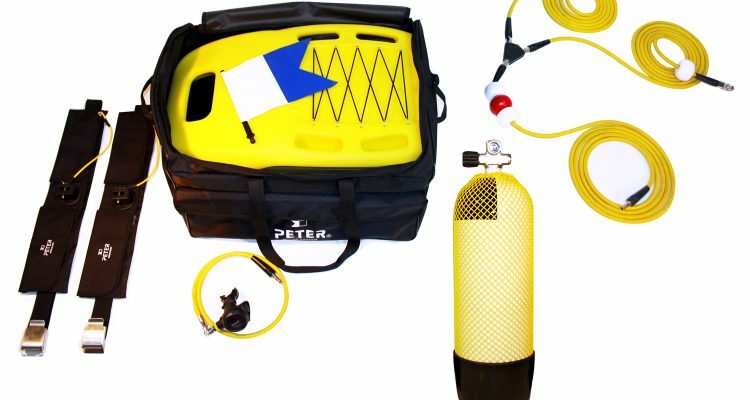 Blurring the boundary between snorkelling and scuba diving the Peter Diving unit devised by José Escaño Roepstorff is an ideal underwater fun solution for yachts. 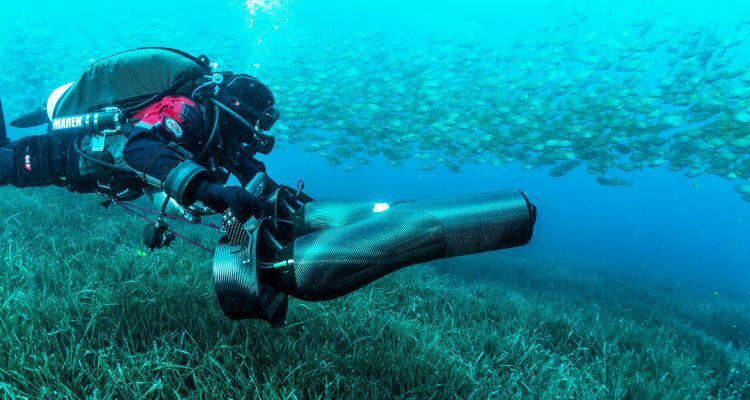 Think of it as a system for multi¬user diving that supplies air from the surface for a safe, easy and comfortable diving experience without the need for divers to carry tanks on their backs or wear cumbersome buoyancy jackets or BCDs. 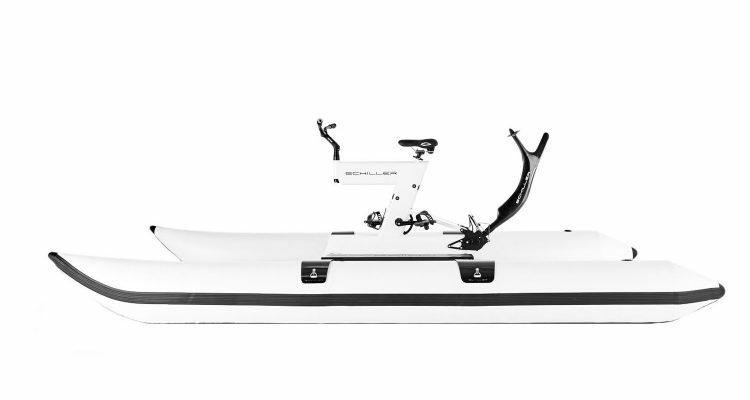 A carbon fibre air filled tank is towed behind the swimmers which makes it much more lightweight and increases the amount of air available to the divers by 50%. This means the crew has an easier time manouvering the kit while the guests are entertained for longer in the safest and easiest way of diving. José Escaño Roepstorff says “It makes the divemaster’s life much easier; they have much less equipment to maintain and to keep on board. Beginners can try diving for the first time without having to have lengthy briefings regarding BCDs and carrying heavy tanks on their backs. Also the crew can easily use the PETER Diving System for regular prop or hull maintenance or emergencies such as fouled props or stuck anchors. The float and tank can even stay on board so that the diver is still tethered to the boat while they work. For other yachts, small underwater toys are not enough and for them, only the best-selling model in the current Triton Submarines range will do. 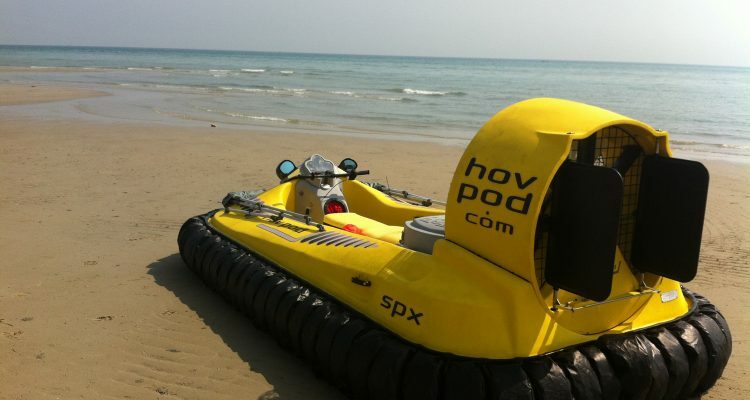 The record-breaking TS¬3300/3, is a remarkable submersible capable of conveying three-persons in total comfort and safety to a depth of 1,000m. No other submersible company has produced a leisure craft certified to operate at that depth, but Triton is proud to have just delivered its eighth unit of this model and the ninth 1,000m Triton certified by DNV¬GL or ABS. No other submersible company has come close to delivering eight units in a single model series. Triton has a rigorous and extensive development programme with several projects currently under development and in build. Of these it will deliver this year, Project Neptune, the result of a close collaboration with the prestigious Aston Martin Design team. Achingly beautiful, with increased performance and a luxury interior this Special Edition scheduled to debut at the Monaco Yacht Show in September will set new standards in the luxury submersible sector. As with any asset, the individual owner’s intended use of a yacht, car, aircraft or property determines the additional equipment it is outfitted with. 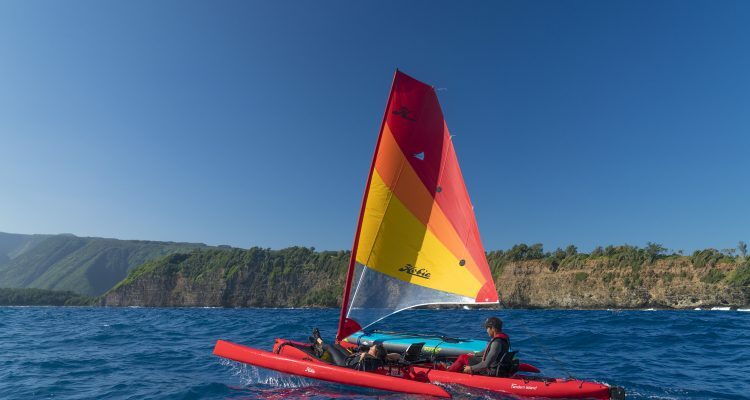 While some yachts are designed as a retreat and for the relaxation of the owner, their family and guests, others are dedicated platforms for exploration, adventure and active participation in a variety of activities. This alone demonstrates the wonderful versatility of yachts, and the toys they carry which are as diverse as the individuals that own them. The quest to own bigger and better toys continues. Ashore the retail chain selling toys to children, might be in financial trouble but at sea the opposite seems to be very true and when it comes to superyachts it is very much a case of Toys R Us.